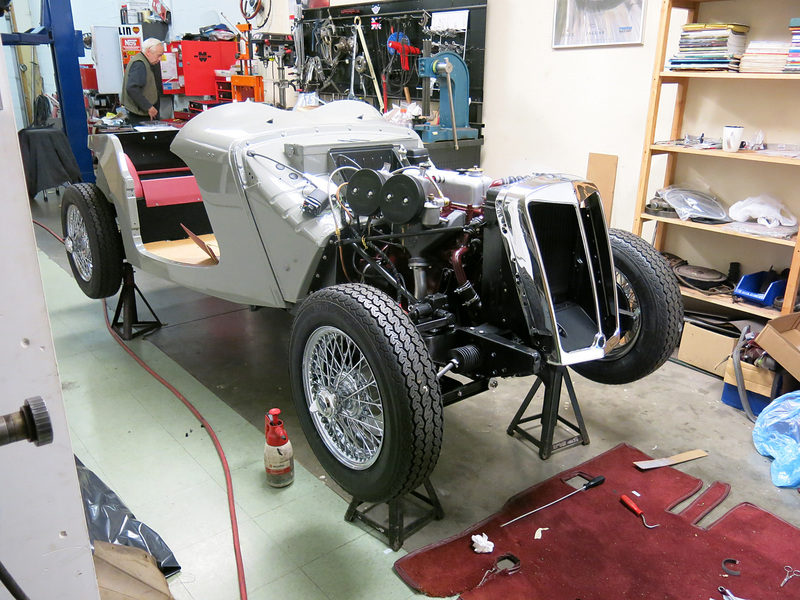 With an ever increasing pace, the MG TF project is getting built from the frame up. 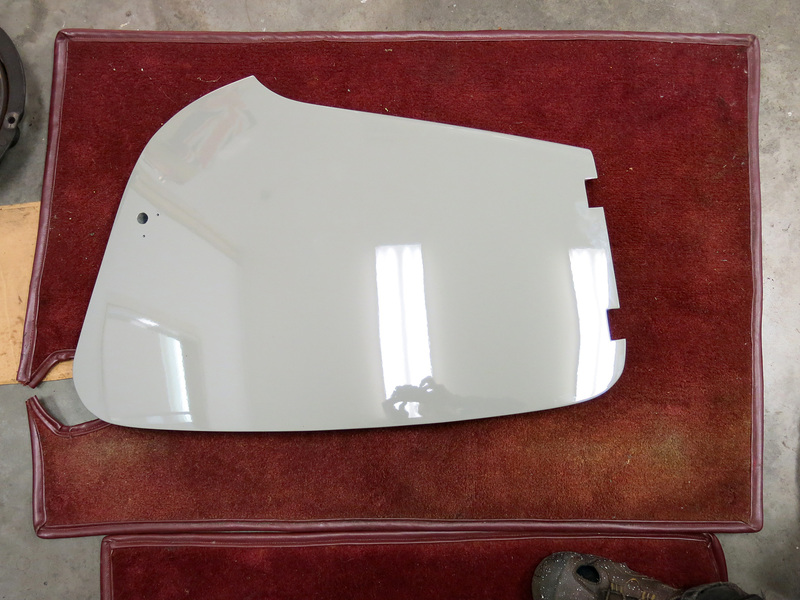 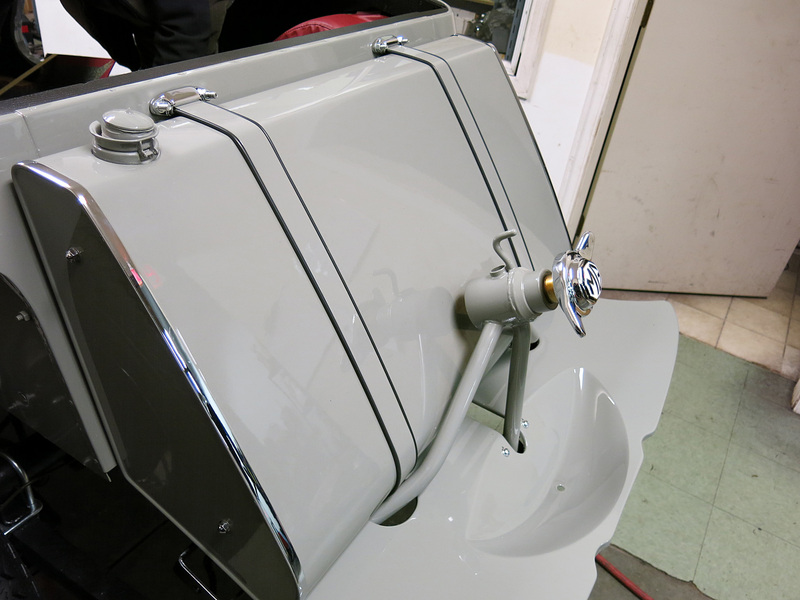 This last week the gas tank was fitted as well as some of the interior vinyl trim and the dashboard fittings. 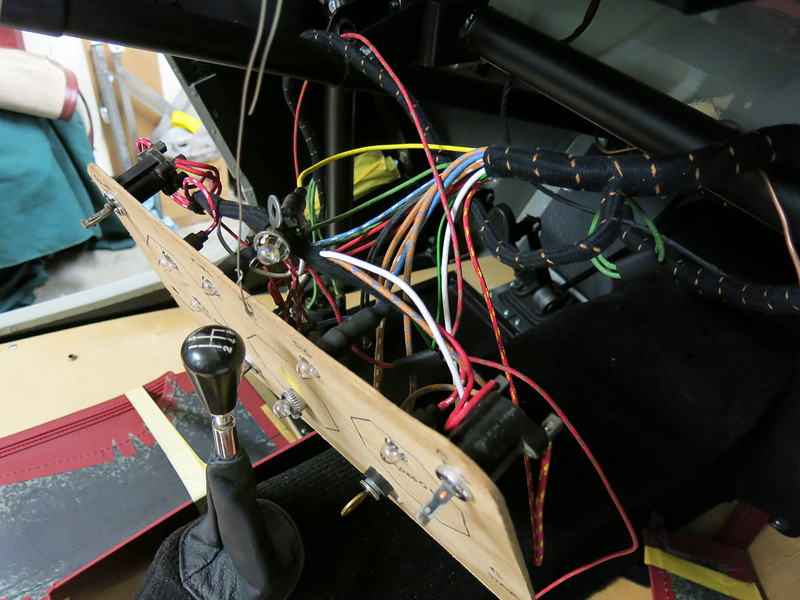 rom Moss Motors have greatly helped this project as well as an abundance of old bits from Hugh Pite. 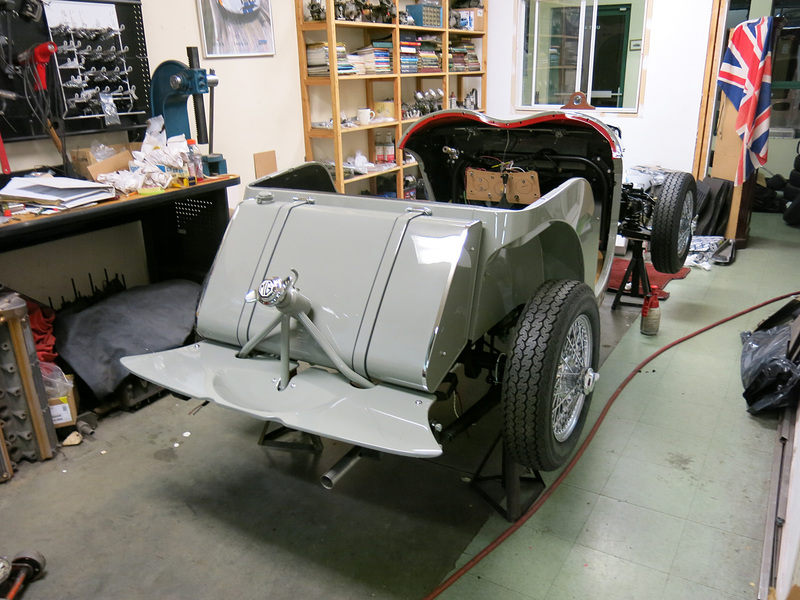 The pace of the MG TF project is increasing with each day. 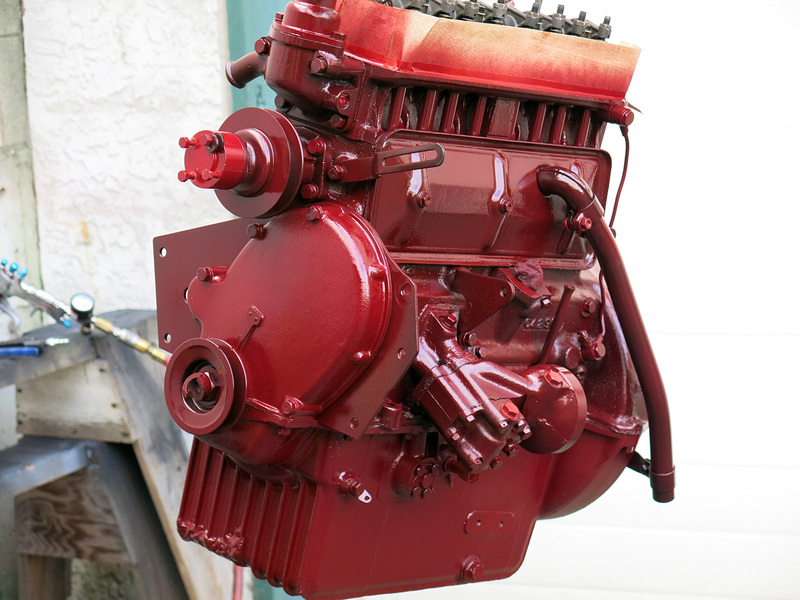 Today we put a final coat of enamel on the 1250 engine which should be in the chassis in short order. 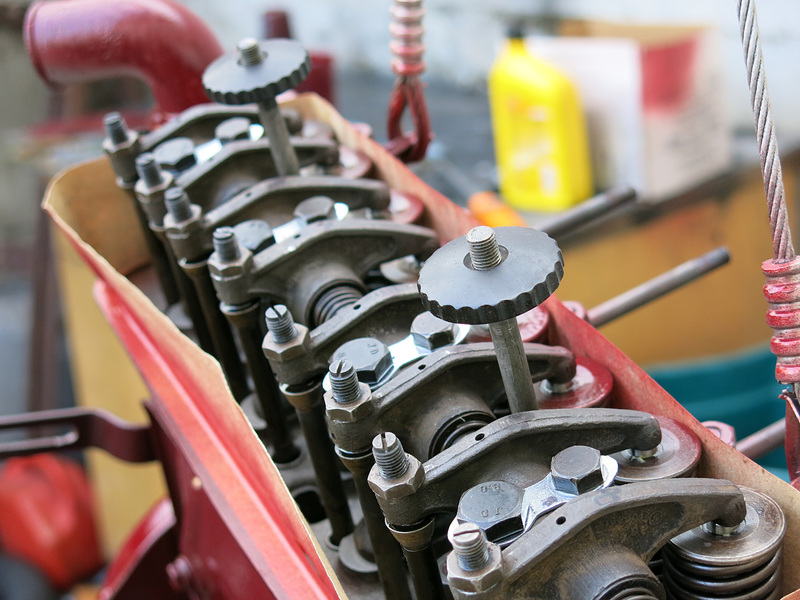 This engine has had a major rebuilt with a new crane cam, a Moss Motors Crank Oil Seal Conversion Kit, new plugs, gaskets, the works. 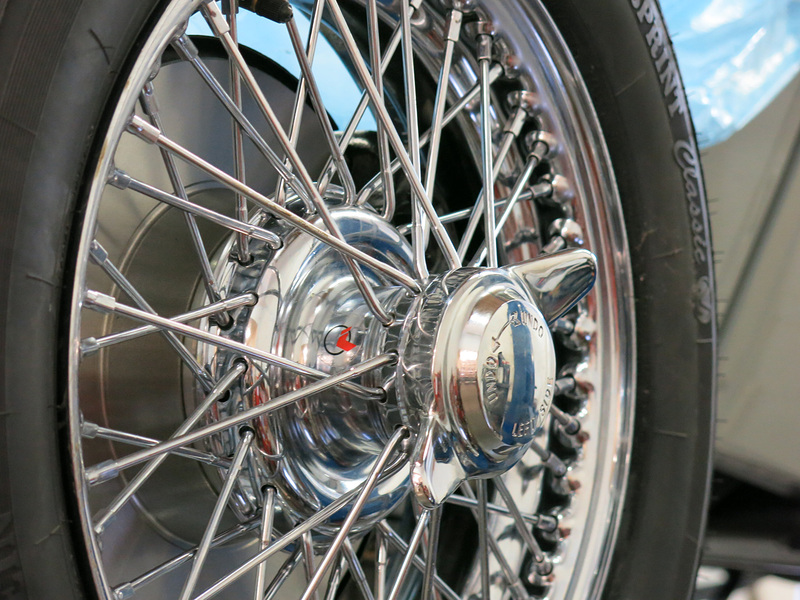 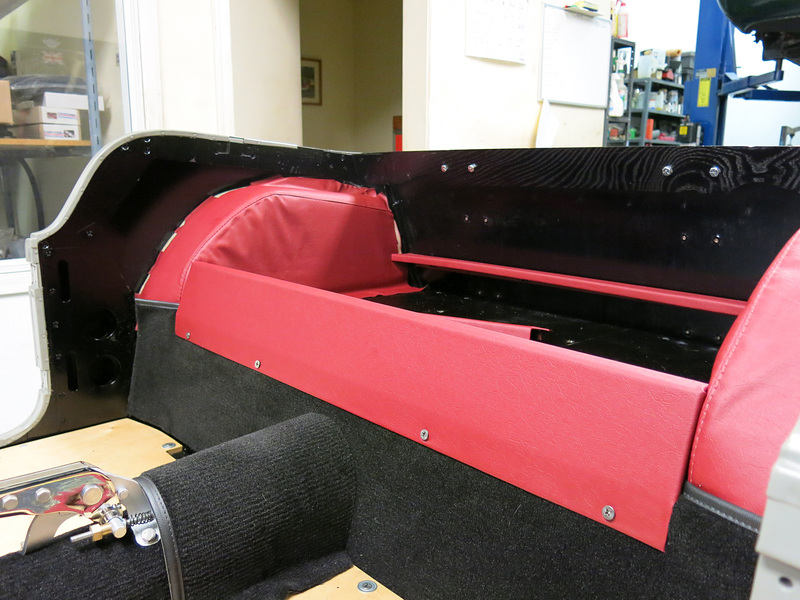 The color we use is a 1979 GMC hue called Dark Carmine with a Dupont number of 45827. 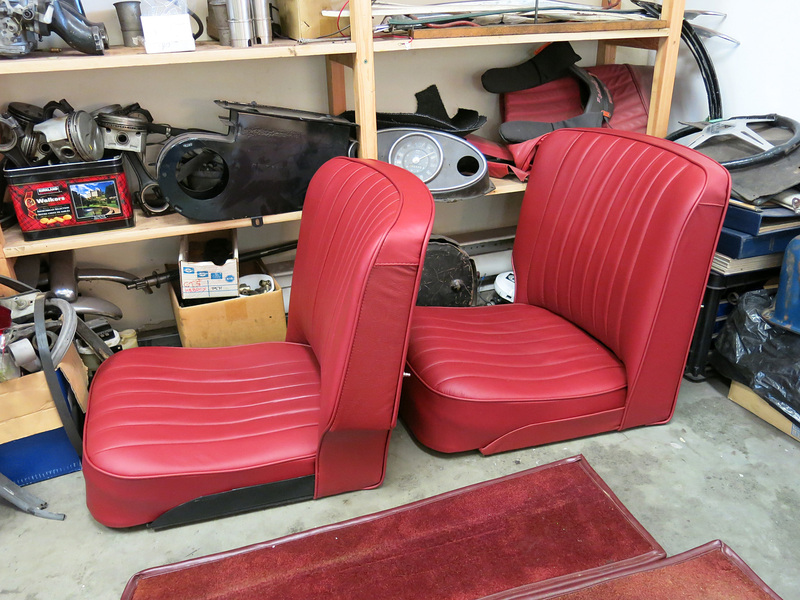 The red seats arrived from Style’s Auto Upholstery who fitted the Moss Motors Complete Leather Seat Assembly ($2,259.95 USD) on some original blasted and painted seat frames. 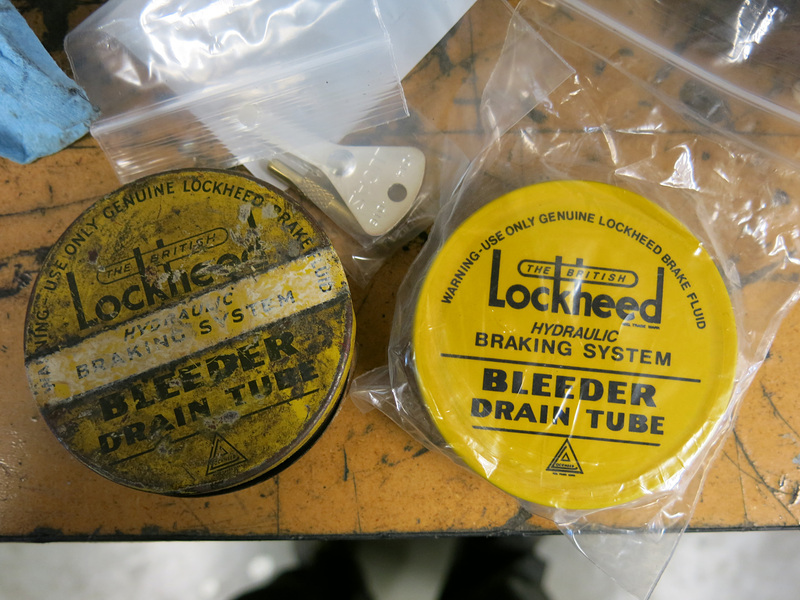 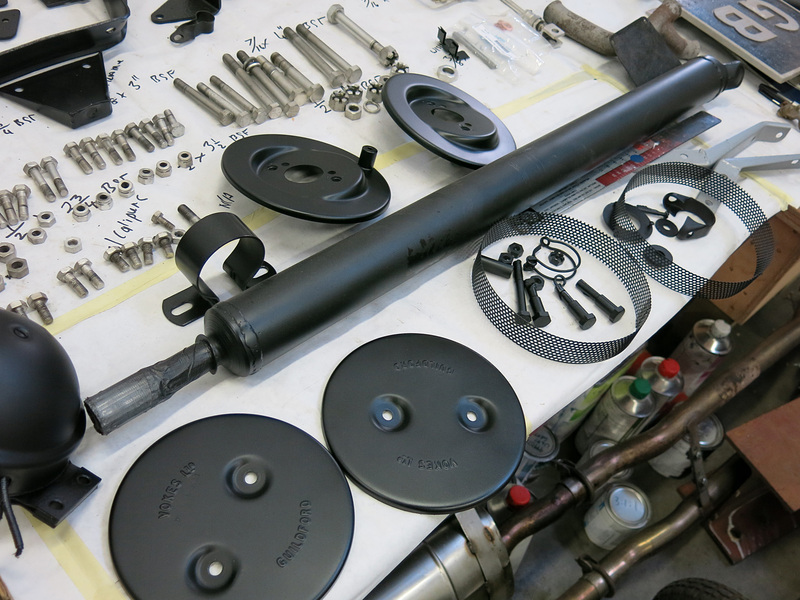 We have also been busy sourcing many original parts for the toolkit, including many from local aficionado Hugh Pite. 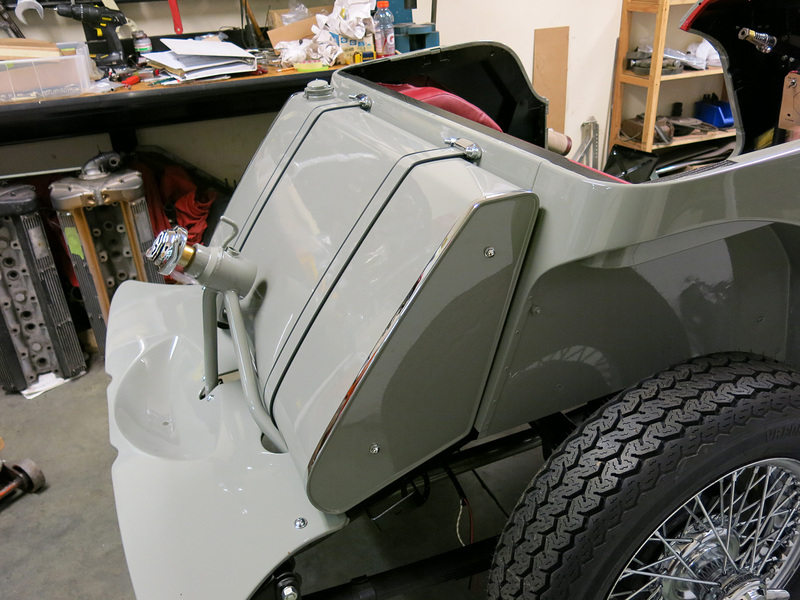 Once the kit is done we will make an entire post on it.